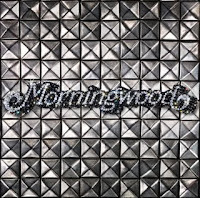 With their debut album, Morningwood burst onto the indie rock scene. They have now released their sophomore effort, Diamonds and Studs, an album that doesn't stray far from the guitar-driven alternative rock of their first record. Songs like "Best of Me" and "Killer Life" bear a familiar sound. The beats are driving, the choruses are powerful, and their are hooks aplenty. Lead singer Chantal Claret still oozes sexuality. However, as the album progresses, it becomes painfully obvious that Morningwood don't have a lot of other tricks. The songs become bland and samey, often making the listener wonder whether he or she has already heard the track. Tracks like "Sugarbaby" are reminiscent of late-era, overly slick Garbage. "Addicted" is so heavily produced, removing any hint of a rough edge that it almost seems destined to be an Alternative radio hit. The processing of Claret's vocals on "There's a Crowd" is poorly timed. While the album closer "Cat In a Box" is probably intended to be deep and emotionally powerful, it comes across as dull instead. Diamonds and Studs is an album that definitely holds appeal for a few songs with catchy hooks, but it's lack of depth and diversity may make it better served as background music than as an album you sit down and devote time to. Best tracks: "Best of Me", "Killer Life"